I need some advice. I have been studying for the past month, working on my fundamentals in math and verbal. I finished the quant review and verbal review and gave the first mock last week and got a score of 600 (Q44, V28). After that I did all the verbal questions in the OG under timed conditions and got a pretty good accuracy on all three types of questions. However, when I gave the second test a couple of days ago, I got a 510 (Q34, V26). Needless to say, I was disheartened. I have scheduled my GMAT for the first week of August and am aiming for 700+. Dont judge yourself by one bad score..You dont know reasons may be many for that.. So dont get disheartened with that and pace up your preparation by focusing where did you do wrong..
All the very best yar..
1. Did you complete the test? 2. Was there a string of wrong questions? I would recommend you to appear for another test and see how you fare. I had a few follow up questions for you. How are you preparing for the GMAT? What preparatory course/book are you following? Have you solved the OG? Based on the score drop that you described, I suspect that you missed a bunch of questions due to silly/little mistakes. Assuming that this second Exam was more of a 'bad day' than anything else, then raising a 600 to a 700+ will require that you make some significant improvements to how you handle BOTH the Quant and Verbal sections. That work will likely take at least another 2 months of consistent, guided study. Taking the GMAT in early August might not give you enough time to make all of those improvements, so you might need to consider pushing back your Test Date. You should study for around 3 months to improve your score. It’s a good thing you have taken your GMAT Mock . You now know your weaknesses and work on them. If you are willing to study dedicatedly for Three months, you are sure to achieve your goal. I believe you may benefit from taking a GMATPREP course. If you are willing, there are some great GMAT prep companies that can help you with your preparation. In order to make an informed decision I would highly encourage you to go to their websites and try on their free trial and decide for yourself which one do you like better. 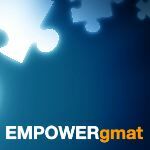 Further I see you are a new member here at GMATCLUB and when you sign up at GMATCLUB you get a free 3 days access to EMPOWERgmat course. You can also try free access to Magoosh and Optimus Prep so try those out as well. You can also try out the MGMAT guides they are phenomenal and cover the entire syllabus really well. Just by going through these guides and solving the OG will help you reach 600+. I must add that if you are particularly looking to discover and improve on your weak areas in Quant; a subscription to GMATCLUB tests is the best way to do that. They are indeed phenomenal and will not only pinpoint your weak areas but also help you improve on them. Further taking multiple mocks might help. Apart from the GMATPREP, Manhattan GMAT tests and Veritas Prep Tests in my experience have a good verbal and Quant section and will certainly help you point out and improve your weak areas. Lastly I would also encourage you to purchase the latest version of OG and QP 1 for some great additional practice. Here is a link that will help you with your decision.